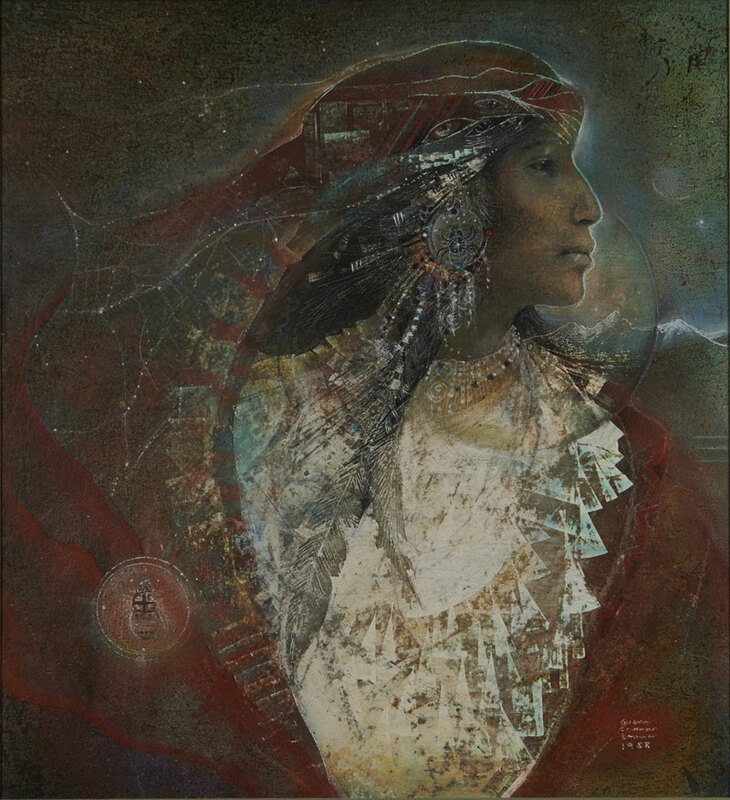 SOLD A stunning masterpiece of Susan’s art, incorporating the highest levels of her artistic style and techniques; representing the most beautifully developed work from the Shamanic period of Susan’s career. This piece has been published extensively. White Shell Woman is integral to the creation mythology of numerous Native American cultures. The creation of the stars is referenced by the spider imagery and the web of stars in the night sky. Eyes of insight and wisdom adorn her headband. Exquisite detail and color, profound imagery. A rare opportunity. 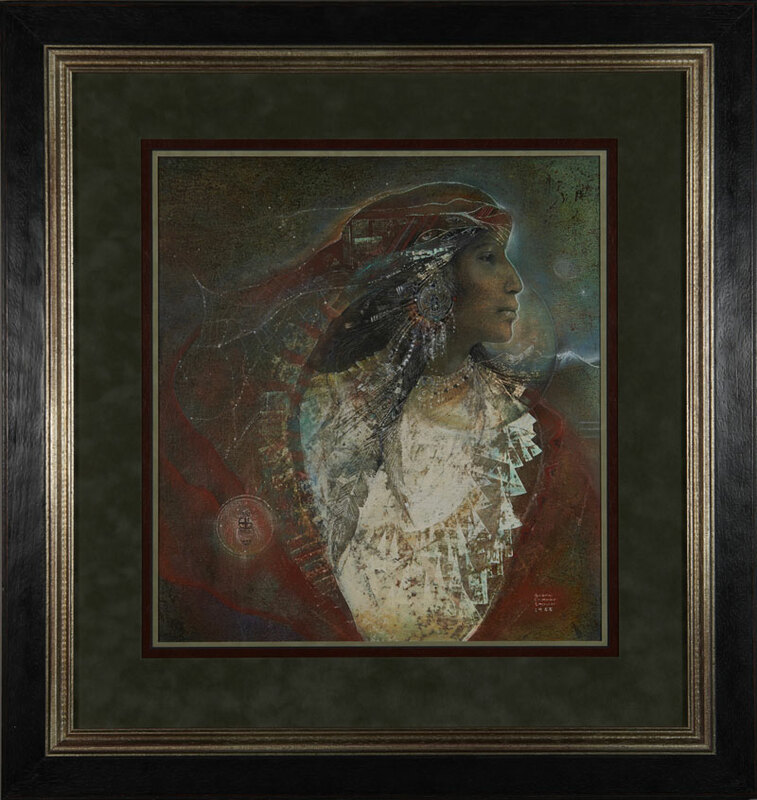 This original work has been re-framed with an antiqued silver accented wood frame, archival triple-matted with a suede top mat, acid-free backer-board & materials, and re-glazed with museum conservation clear, Tru-Vue, UV protective glass. Signed by Susan Seddon Boulet bottom right. Dated 1988.